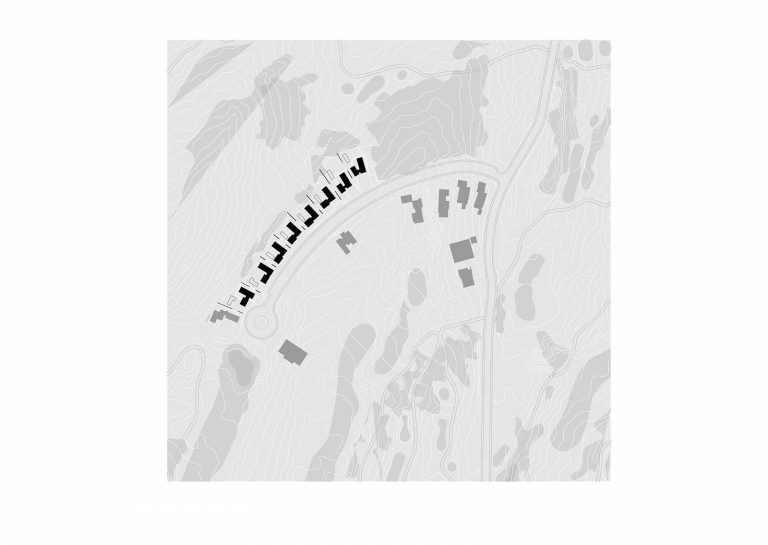 In a privileged landscape environment, a set of single-family homes is adapted to the topography of the site and seeking good orientation and visuals. 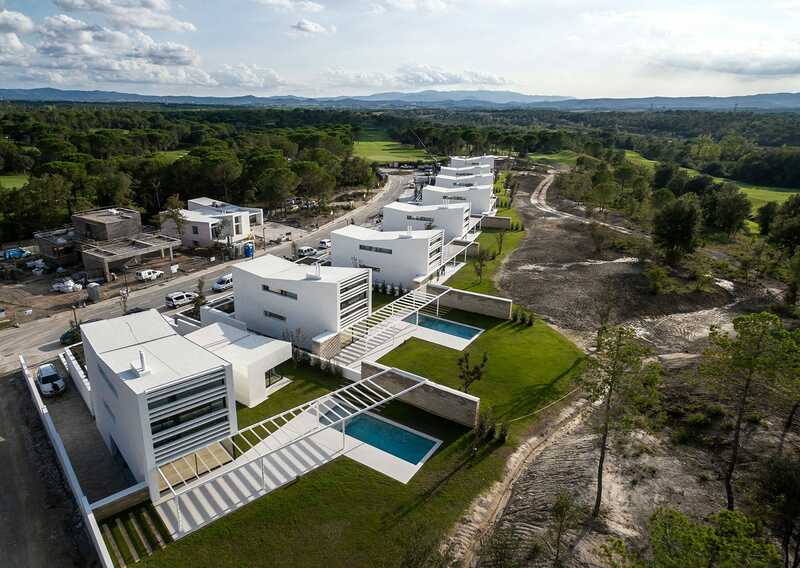 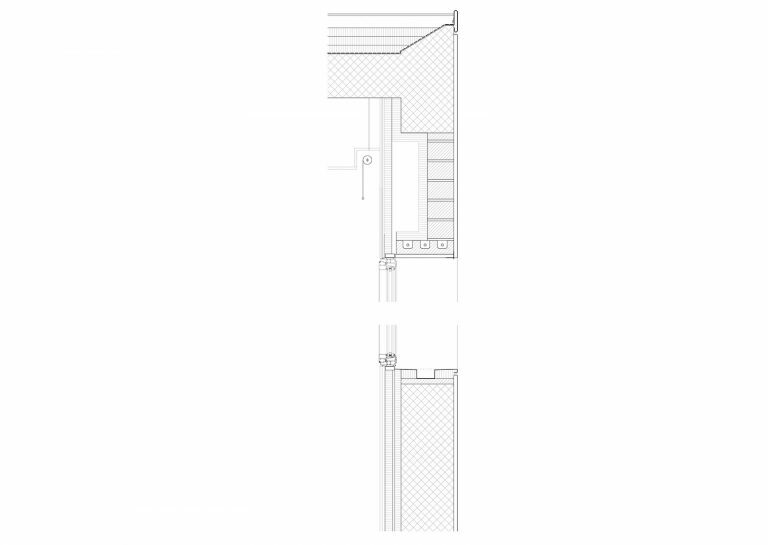 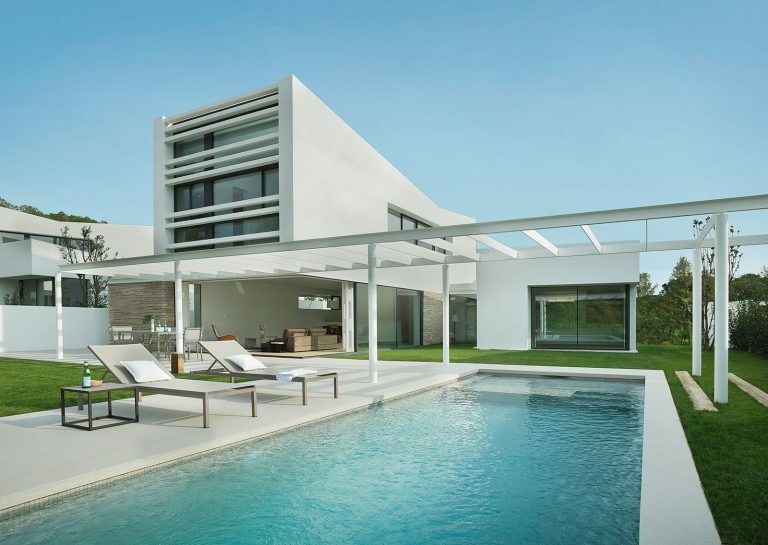 The main set of the house is articulated by two volumes of inverted inclined roofs. 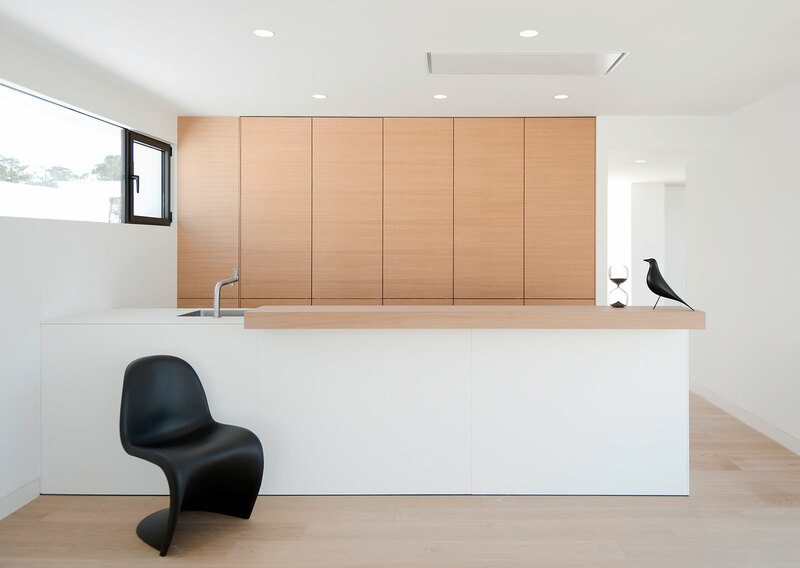 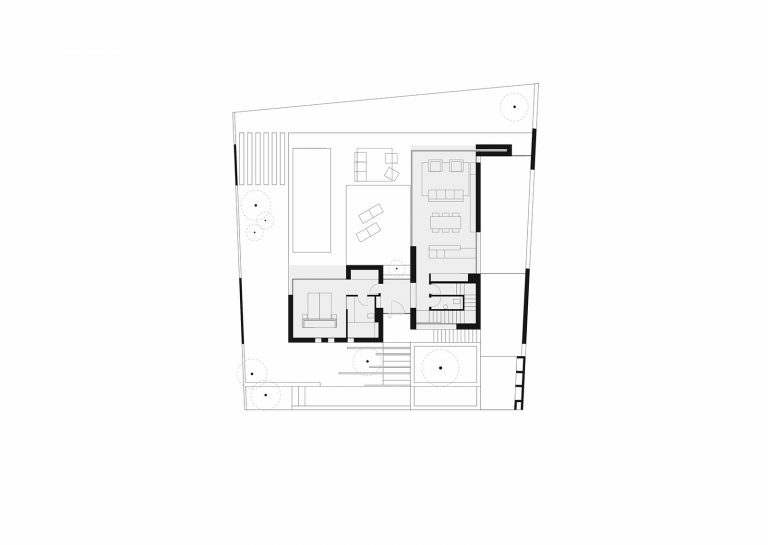 The main body is dedicated to the day area on the ground floor and night area on the first floor, the smaller body occupies the space of the master suite. 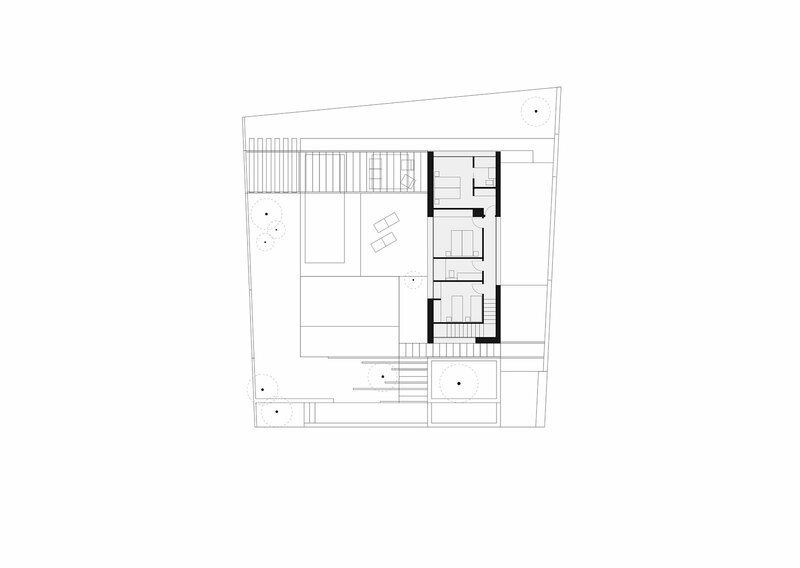 Around these volumes are articulated a set of porches and pergolas that have the purpose of extending the house to the garden to colonize the exterior space helped by a system of carpentry that disappears from the envelope. 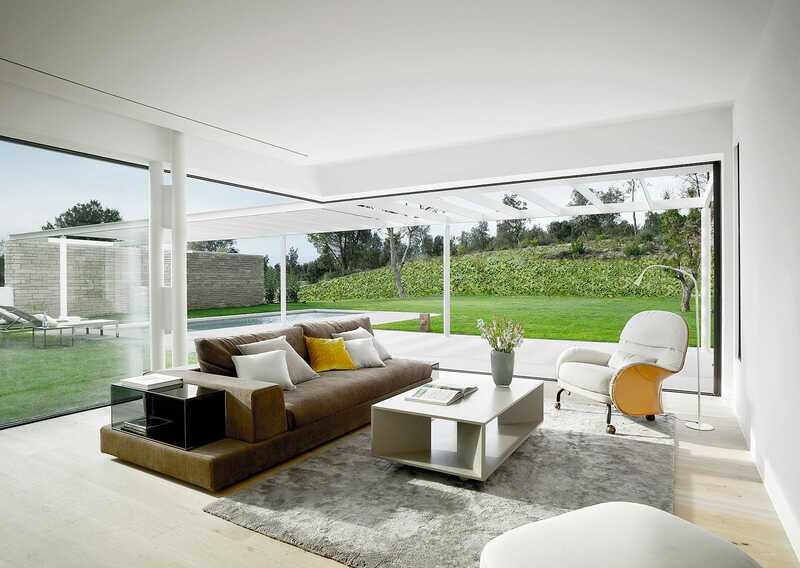 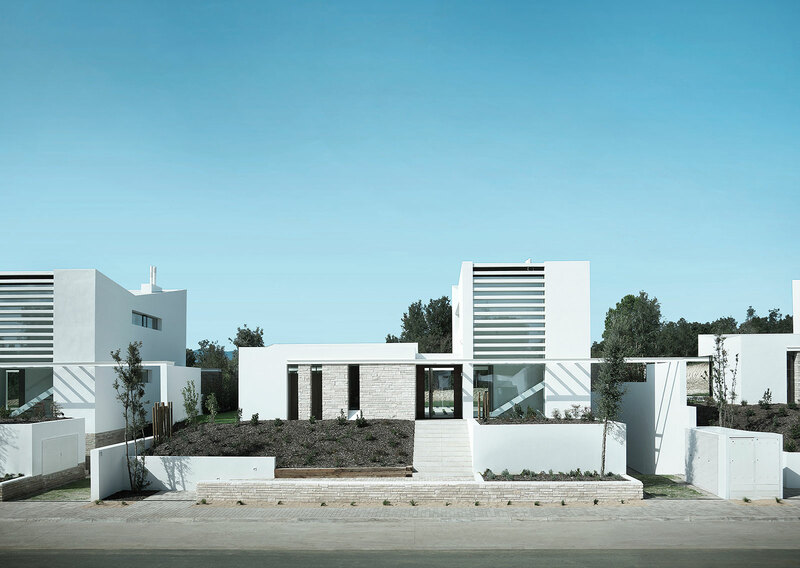 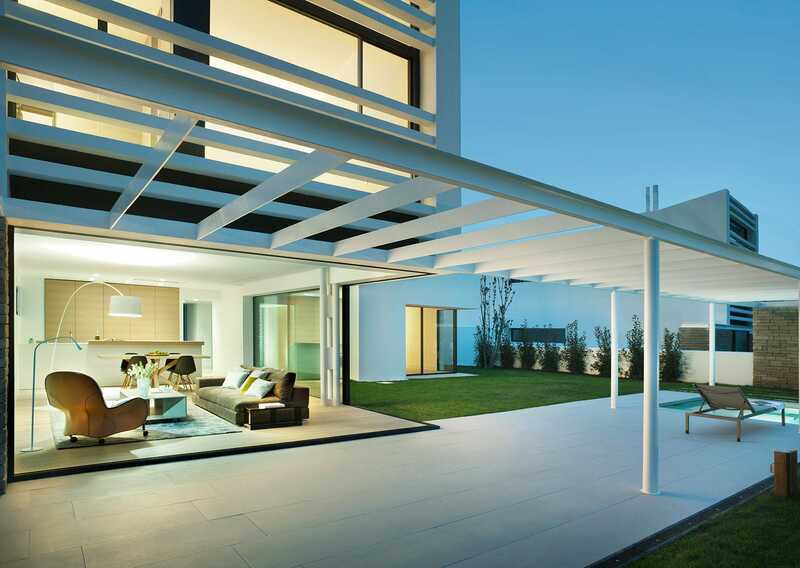 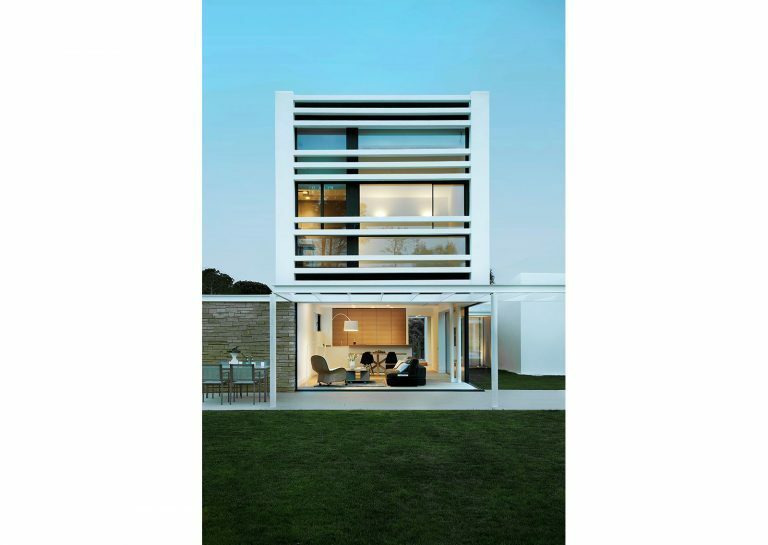 The result is a set of similar but unique homes, either because of their orientation or the articulation of volumes.